During this season, we like to take time to reflect upon the good things we have… like YOU, our valuable Chamber Investors. We appreciate the opportunity to partner with you, assist you, and promote your business/organization in 2018. We look forward to continuing to support you and all that you do in 2019! We hope that 2019 brings you more happiness than you can handle, more love than you've ever known, more wealth than you can imagine, and more success than you’ve ever shown! 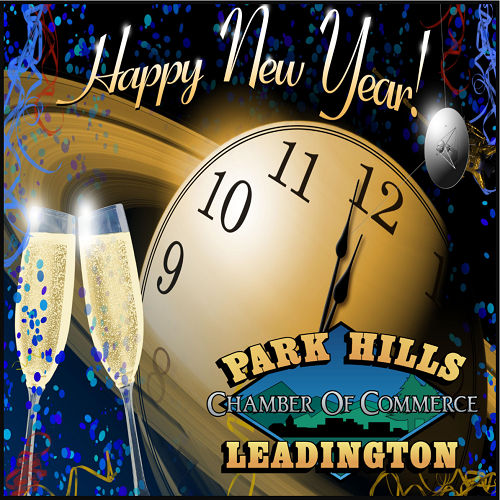 The Park Hills - Leadington Chamber Board of Directors and Staff Wishes You a Very Prosperous New Year! !